Last year, Nina Raine had a National Theatre hit with Consent, which grilled deceit and empathy in both the legal system and relationships. Now, she turns her attention to a 39-year-old single woman desperately seeking a sperm donor – and once again, procedures are sharply juxtaposed with people. 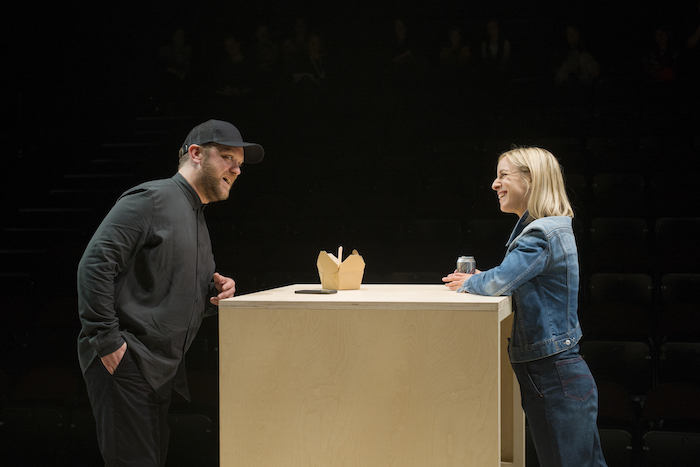 This entry was posted in Journalism, Theatre and tagged baby, broadwayworld, child, claudie blakley, comedy, conception, london, mother, national theatre, parent, play, review, sam troughton, sperm donor, stephen boxer, stories, theatre. Bookmark the permalink.